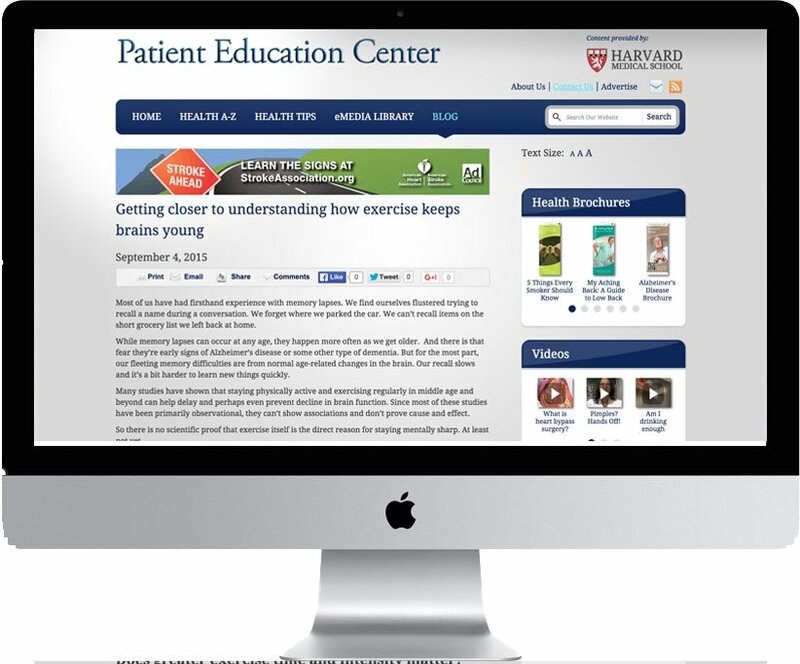 With content provided by Harvard Medical School and distributed by Health Media Network, this content-rich website offers videos, brochures and articles on a wide range of health and wellness topics for discerning consumers. 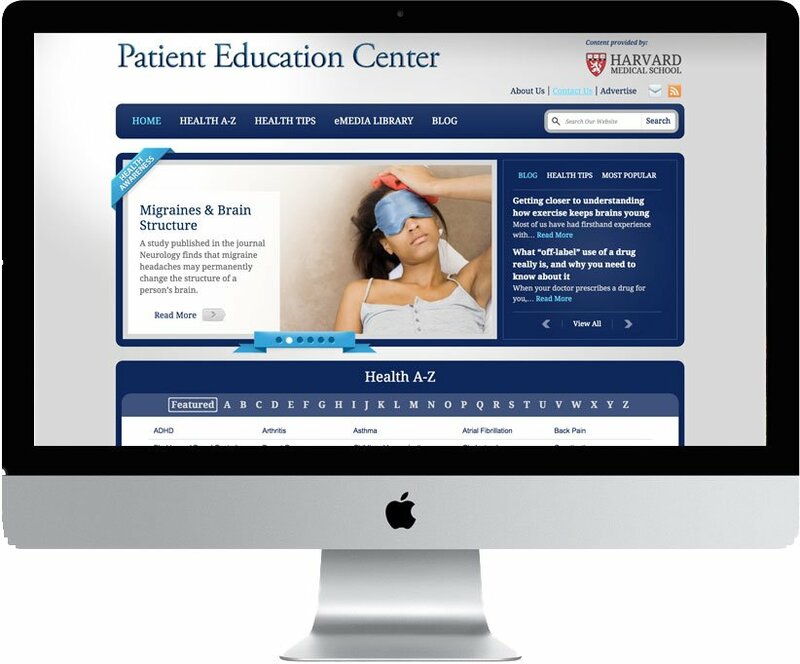 The Patient Education Center website is a very complex database-driven information resource with multiple feeds and ad placement capabilities. After the site was disassembled and archived, I was hired to put it back together again on a new web platform. Credit for the original design concept and development go to the awesome folks at Inflexion Interactive. With so many moving parts in this feature-rich site including an embedded YouTube channel health video library, embedded isuu.com page-flip style health brochures, comprehensive health tips section, full-length health articles and a health blog, there were bound to be issues with the site relocation and rebuild. And there were. Having a solid plan and tracking all steps with flawless documentation was critical to the success of this project. I would not have been able to successfully complete this website rebuild without help from the original site developer and the former site owner. Agile project management and communication with both parties and my client were key in this project’s success.